Soil analysis is an important, perhaps essential management tool in organic and agroecological farming. It supports the primary means of assessing soil, which include walking the field, digging pits, smelling and looking. Analysis provides recommendations on management, including manuring, soil structure and the need for any mineral fertilisers. However it is widely recognised that the standard pH, P, K and Mg analysis services offered in the UK are inadequate for managing soils under organic and agroecological farming. 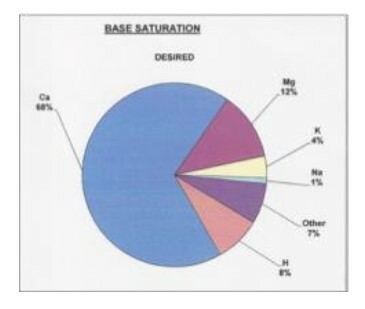 Alternative methods of soil analysis and associated management strategies have been developed over the years and one of those quite widely used in the USA is the Base Cation Saturation Ratio (BCSR) analysis. The BCSR method was developed by William Albrecht at Missouri University in the 1930s. The substantial claims for improved soil structure, biological activity, resistance to plant diseases, food quality, animal health and crop yield are compelling. The technique is used quite widely, but not universally used amongst 'sustainable' and organic farmers in the USA and has a small following in Denmark, Germany and the UK. However scientists around the world have categorically dismissed the technique, including those at Rothamsted. It remains a fact that there is an almost total lack of published research demonstrating the efficacy of the approach. Nonetheless there is tremendous enthusiasm for the system amongst some advisers and farmers. What does the method involve? The method places great emphasis on the development of soil biological activity and improving the availability of nutrients. Underpinning the BCSR approach is the idea that it is not just a matter of ensuring sufficient levels (or Index) of soil nutrients, but that the correct ratio or balance of nutrients is essential for proper plant nutrition. Organic matter, available phosphorus in 2 or 3 extracts, available potassium, magnesium, calcium and hydrogen, soil pH, buffer index, cation exchange capacity, percentage base saturation of the cations, sodium, nitrate nitrogen, sulphur, zinc, manganese, iron, copper and boron. The interpretation of the BCSR analysis is complex and usually needs specialist expertise. The aim of the BCSR approach is to ensure optimum nutrient supply to crops by using management practices and fertiliser inputs that stimulate biological activity, enhance soil structure and improve the availability of soil nutrients. Apart from addressing the proportion of cations with the use of appropriate mineral fertilisers, the method places particular emphasis on calcium and magnesium, to a much greater extent than in typical conventional or organic soil management. Calcium increases flocculation, increases pore space and improves soil structure, while magnesium does the opposite and makes the soil tighter. Sufficient calcium is also considered essential for trace element availability and is particularly important for legumes. The ideal percentages are 68 - 70% calcium and 10 - 12% magnesium. If calcium is too high, the recommendation is to add sulphur which fixes to the calcium, thereby increasing the relative level of magnesium. If calcium is too low, add lime, which may even be needed on some alkaline soils. Continue to add magnesium until calcium:magnesium ratio at 3:1. Much greater emphasis is placed on trace elements than is typical with both conventional and organic farming in the UK and elsewhere; not just to meet the crop’s mineral needs, but also to support the soil organisms needs for optimum biological activity. Particular emphasis is placed on boron which is needed for calcium uptake, sugar translocation and rhizobia activity, manganese for photosynthesis, and zinc for enzymes. There is a preference for the use of sulphate fertilisers rather than chlorides, e.g. potassium sulphate is preferred over chloride due to the latter's higher salt index which has a negative effect on germinating seedlings, root growth and soil life; this is consistent with EU organic standards which prohibit potassium chloride, even though it is a naturally occurring mineral. Gypsum (calcium sulphate) is quite widely used as a means of increasing calcium percentage in high magnesium soils; the sulphur combines with the magnesium and consequently leaches out, thereby improving the ratio. Where needed, sulphur may be applied as a sulphate of potassium, calcium or copper. Enhancing the soil biological activity is a priority for BCSR management. This is managed in a variety of ways; by mechanical aeration or subsoiling to improve soil structure, incorporating large amounts of green manures, adding a low rate (e.g. 3 tonne/ha) of well made compost, ensuring adequate trace elements (particularly boron, zinc and calcium), providing energy to the organisms in the form of molasses, use of humates, and avoiding damaging practices such as excessive cultivations or fertilisers (chlorides) or pesticides. This emphasis on biological activity makes the approach attractive to organic and agroecological farmers and we are all agreed about the importance of mycorrhiza in extending the root system and mobilising and accessing nutrients. What is interesting is the case made for mycorrhiza in increasing the uptake - not only of phosphorus, but also of nitrogen, potassium, calcium, sulphate, zinc and iron. With a high level of biological activity, soil fertility and crop health and yield will follow. 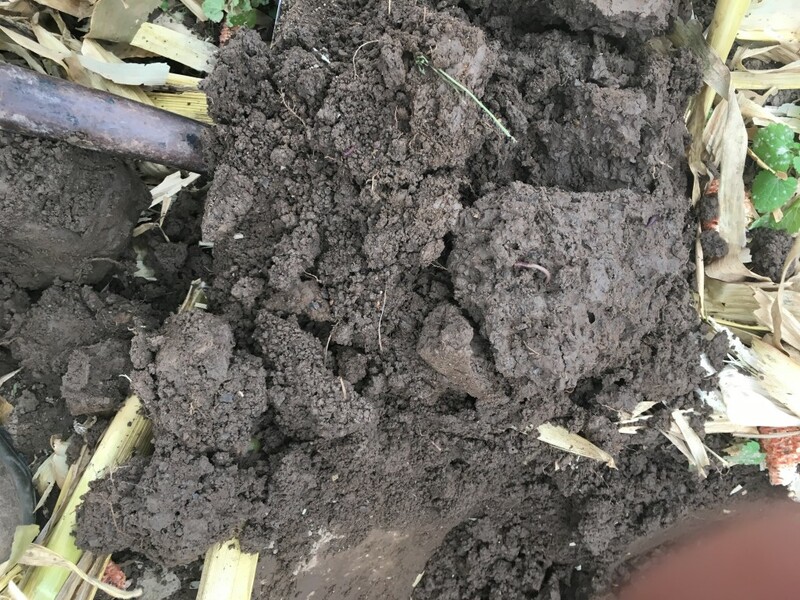 If there are indications that biological activity is low, for example the soil appears dead, poorly structured despite good cultivations, or smells bad, then do some additional analyses. Soil mycorrhizae can be assessed in the laboratory by visual or DNA analysis. Earthworms can be counted in the field. During my recent Winston Churchill Fellowship I found that many advisers and farmers in the USA enthusiastically supported BCSR analysis and management, including Neil Kinsey , Gary Zimmer and Paul Deckard, but that in some cases they place much less emphasis on cation ratios than the critics claimed. In Denmark there are a few organic farmers using the method, enthusiastically supported by at least one adviser, Martin Beck. There is little if any commercial experience of using the method on organic or conventional farms. In Switzerland however researcher Matthias Stettler at Oberacker is an enthusiastic advocate of the BCSR method; he has established a long-term field trial, one of only two worldwide, assessing the method. The most notable feature from a farmer’s perspective is that those who follow the BCSR recommendations use a much higher range and level of fertiliser inputs on a routine basis than is typical of organic farms in the UK. Most advisers advocated regular use of humates - mined carboniferous material which is supplying trace elements and stimulating biological activity, as well as use of other fertilisers, either as a one off or annually. These include Chilean nitrate, micro-ground rock dusts, potassium sulphate, monoammonium phosphate (MAP), potassium magnesium sulphate (K Mag), rock phosphate, calcium sulphate (Gypsum), poultry manure and cane molasses, which is used to supply carbon - stimulating soil biological activity and increasing nutrient availability. All these are permitted under NOP organic standards in the USA, though not necessarily in the EU. This is in stark contrast to most organic farms in the UK, many of whom don’t even analyse their soils and take a very low cost, low input approach to their organic farming. Those that are more proactive, with a very few exceptions, are not using the range and level of inputs advocated by the BCSR method. Should you use the BCSR method? The questions remain: is the interpretation of BCSR analysis reliable and does it improve yields and improve the efficiency of use of finite resources? Is this range and level of inputs really necessary? Is it cost effective? Is it really organic farming? As in the UK, BCSR analysis is not generally supported by the established soil scientists in the USA. Most of the criticism stems from the emphasis put on cation ratios i.e. the ratio between calcium, potassium and magnesium. See this critique from the Sustainable Agriculture Research Association. Some advisers in the USA and in the UK have further evolved the BCSR method, putting greater emphasis on ensuring that minimum nutrient levels are met and playing down the importance of the ratios of cations. This seems to placate the critics, however the question remains: is the method more effective in terms of resource use, crop yield, health and profitability? Tim Reinbott of Minnesota University has established some very useful field scale research and to try to answer the question of whether BCSR analysis and management works or not. Provisional results from this and two other medium term trials show that the BCSR analysis and management does indeed have a positive effect on soil fertility and crop production. What I found was that many advisers and farmers enthusiastically support the BCSR analysis, some putting more or less emphasis on the ratios, but in any case the approach does at least ensure that adequate nutrients are supplied to the crop. Given the level of inputs advocated it is likely that crop yields will be higher than for a farmer taking a low input approach, particularly in the medium to long term. It is also possible that the real value of the BCSR analysis may lie in the facts that a wide range of elements is analysed, including trace elements, there is some assessment of the reserves as well as available forms of phosphate, the fact that organic matter is included, and a great emphasis is placed on the role of soil biological activity. The question over the economic value of the BCSR method is an important one; the analysis is relatively expensive and the input costs can be high. The fact that there are many long-term profitable farms using the method in the USA suggests that it is cost effective for both dairy and mixed arable farms. In both situations the farms are running enterprises with potentially high returns that can justify the cost of the inputs, however this may not be the case with lower profitability livestock and upland farms. The one trial in the UK, which monitored the results of the BCSR method in an integrated arable farming system, showed a small response in terms of reduced nitrogen fertiliser cost and increased margins per hectare, but the increase was too small to justify the greater management and input time involved. In conclusion it is clear that BCSR analysis provides a much wider range of information, including physical and biological aspects of the soil as well as mineral availability and reserves. The research evidence is limited but it indicates that the management approach and the inputs advocated do result in some benefits in terms of soil health, yield and in some cases reduced inputs. However the quantity and type of inputs used on organic farms in the USA are not consistent with the aims of organic farming in Europe and some adaptations to the recommendations are required. The technique does appear to have some potential, consequently Organic Research Centre is leading a project assessing BCSR management and individual farmers might like to experiment and see if it suits their farming system. I look forward to hearing your experiences. Mark Measures is a member of the Agricology Steering Group. Find out more about Mark and his work here. 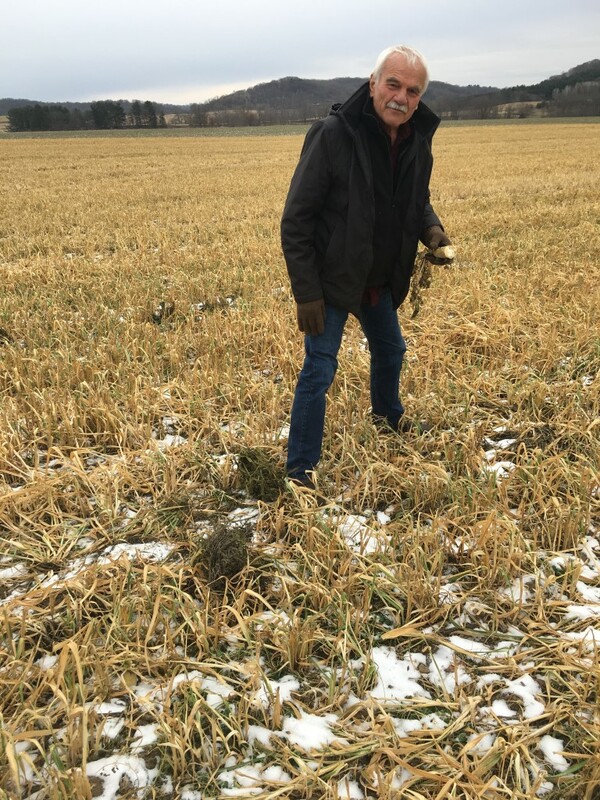 Mark has recently published the report 'Soil Management for Sustainable Food Production and Environmental Protection' following his travels visiting farmers, advisers and researchers in the USA, Denmark and Switzerland, which you can access here or via the link above. Hi Mark Thanks for a great article, very informative. I have been using the Albretch system for some years now since I was introduced to it by Jo Scammel and has helped me improve soil organic matter on one farm from 2.5% to over 5%. The only word of doubt about my improvement in soil health was from a chap from Rothamsted ! Hi Mark, Would you please recommend me a lab, preferably in Southern England, for an Albrect-inspired soil analysis. I'm looking at potential vineyard sites. Thank you. Hi Christopher, in answer your query, Mark says: "I suggest using the service offered by Glenside. They use the NRM lab which is very reputable. Their director and adviser Ian Robertson is based in the East Midlands and would cover the South. You are likely to need to use a specialist adviser for the interpretation. http://www.glensidegroup.com/albrecht-soil-survey Regards, Mark"